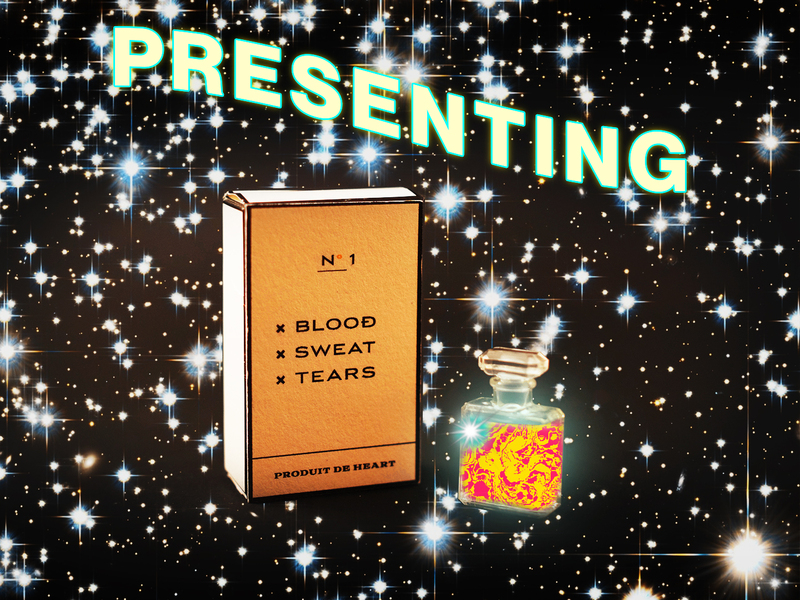 BLOOD SWEAT TEARS is the first luxury parfum from creative agency HEART.Made from dysfunctional workplace culture, edgy branding, and the odor of lasercut plywood, BST will teleport you to a universe far far away from clammy, uncomfortable pitch meetings. Bring some sensuality to your office with Heart's BLOOD, SWEAT & TEARS. Your bottom line will thank you - and so will your girlfriend.